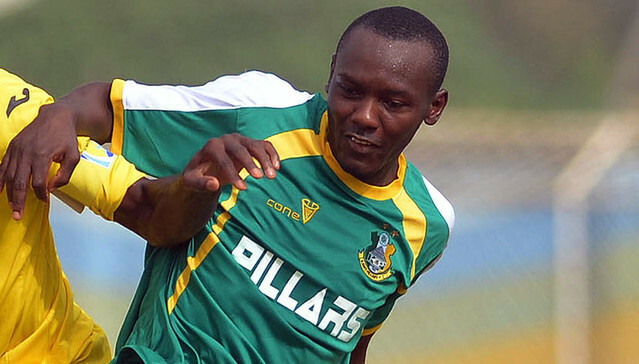 After a dry spell of five games without a goal, Kano Pillars' striker Hassan Adamu finally struck gold hitting a brace against visiting Nasarawa United at the Sani Abacha Stadium in Kano. His brace came on Match Day 6 of the Nigeria Professional Football League, (NPFL) and he considers the goals as huge motivator that will spur him for more. Adamu's two first half goals were sandwiched by Sunday Chinedu's cool finish as Pillars put three past Nasarawa United in one of the NPFL Matchday 6 played on Sunday in Kano.It was a return to winning ways for Manager, Musa Ibrahim's side after failing to record a win in their last four games. 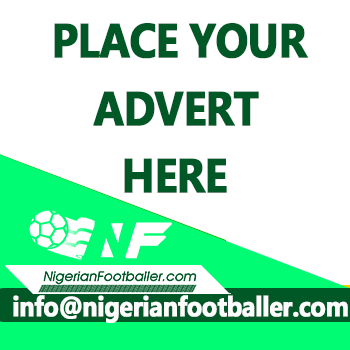 An excited Adamu told npfl.ng shortly after the game that he refused to celebrate those goals as they were against his former employers but admitted that the goals were good for his confidence. "I needed those goals badly to boost my confidence and to motivate me and the team, I'm happy they gave us the win today, unfortunately I couldn't celebrate as I wanted because it's against Nasarawa, a club I still hold dear." "But its a good victory for us, we played well and according to what the coach told us, even though we could have scored more (goals) but at least we are back to winning now which I believe will motivate us for the next games. Asked how many goals he intend to score at the end of the season, Adamu who also once played for Kwara United responded with a smile and said having a double figure would be enough but it must earn Pillars something to celebrate. "Well, let's see how it goes, it's a tight race with 24 games to be played but I will be grateful and happy to get a double number goals, most importantly my goals should put Pillars in the playoffs," he said.